I don't know what game to play. Played GW2 for a while, reinstalling SWTOR to see whats up. I'm bored and want to play something but would love to play with some cool people, but you guys will have to do for now. If anyone reads this get Neverwinter, few of us playing. It is good and its a free client download and free to play. It plays like vanilla wow with a lot of good dungeons and challenging content. Starcraft, DOTA, and will start playing some starwars again just because I legitimately enjoyed the single player lol. I just finished Farcry 3. If you haven't checked that out, you should. Neverwinter has kept my attention for a while now. It is going live June 20th and any progress you made in beta will be carried over. If you wanna join with the few of us playing get in touch with me. I've been playing EVE off and on for the last year or so. Steep learning curve but otherwise fun game and satisfying to play. 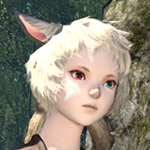 Hilka and I are in the phase 3 beta for FFXIV: ARR. We're on Behemoth (US/EU), character name Valar Morghulis (me) and Imperatrix Mundi (Hilka). Look us up! I hop between GW2, Tera, SWOTOR, STO and currently doing the FF14:ARR beta. I played Tera for a couple of weeks back in March. It was really fun, my warrior could solo anything just by hopping around strategically. 86er wrote: Hilka and I are in the phase 3 beta for FFXIV: ARR. We're on Behemoth (US/EU), character name Valar Morghulis (me) and Imperatrix Mundi (Hilka). Look us up! Got a character on Behemoth as well. Name should be obvious. I won't play though until release so that won't matter. Not sure what to do with my old character on Gungnir. Might keep her there or transfer to Masamune. I'm playing on Behemoth as well. Got a 21 Thaum working towards a BM. Dea here, long time no see. I just dnt say much but check in now and then. Have many people said they were playing this round of FFXIV? I saw the V1.0 had quite a few comebacks. Anyway, Dea is on a Legacy server but just started her over on Goblin. Say hi if you come to town Haven't spoke to many of you in forever!